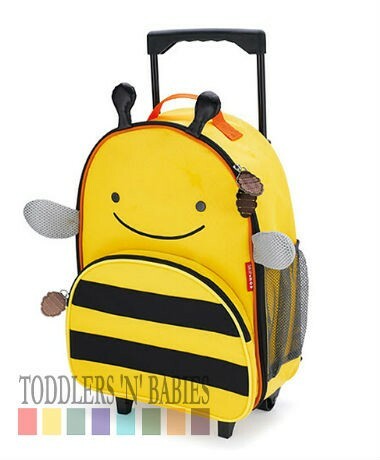 Ding ding, all aboard! 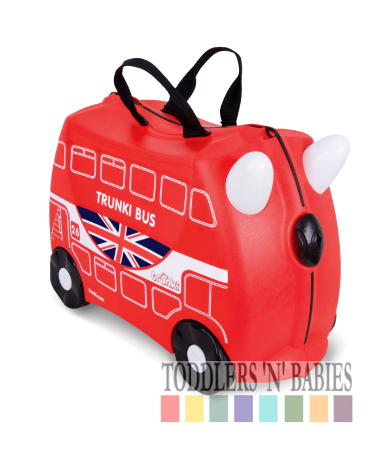 Boris the Bus is a true British gent who loves to travel. 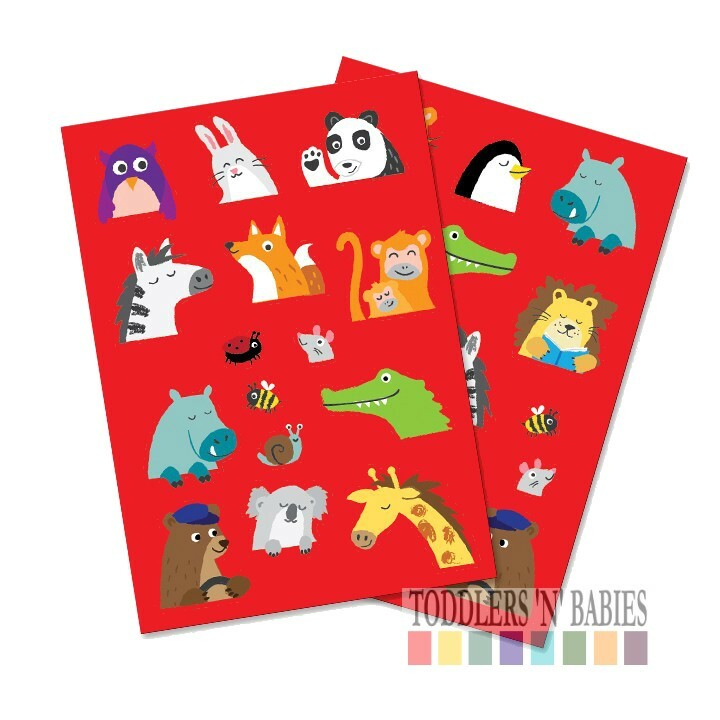 Boris comes with a free animal sticker pack, so you can add a menagerie of passengers too! 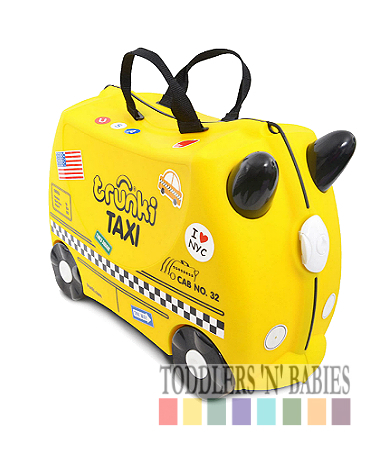 The Trunki is the world's first ride-on suitcase for children. 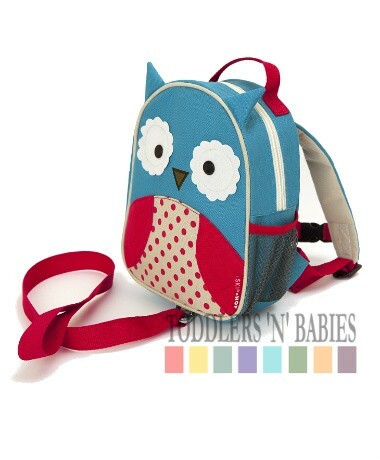 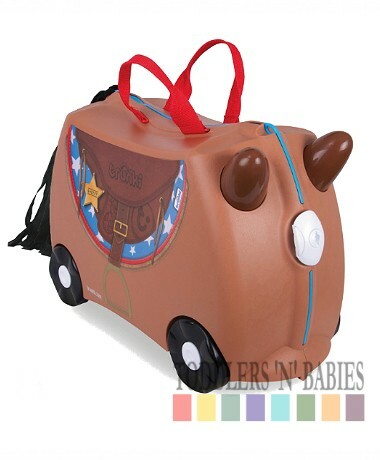 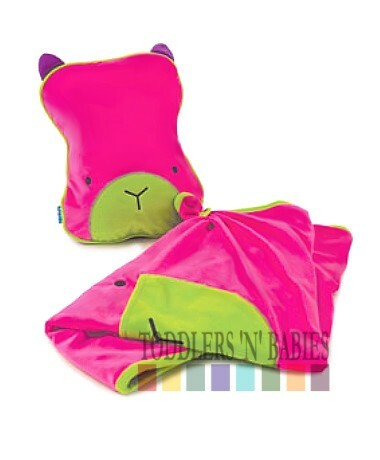 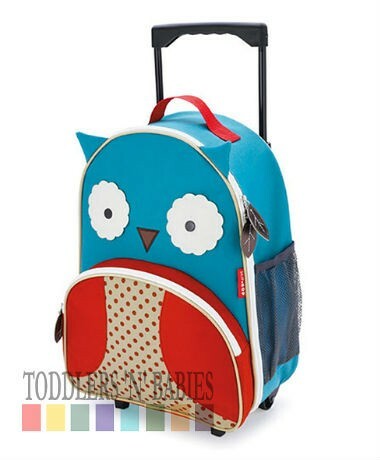 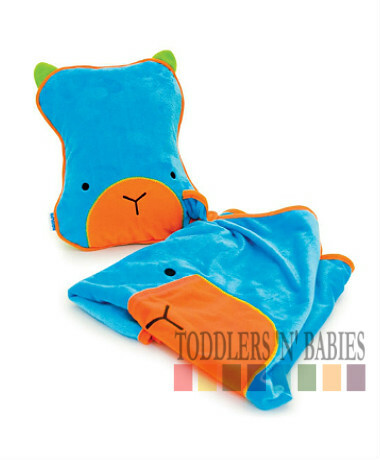 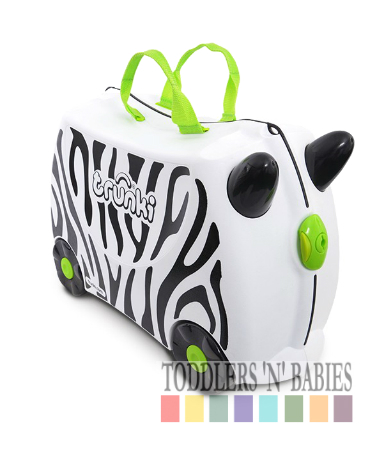 Its innovative design allows your little one to pack and ride on their own luggage. 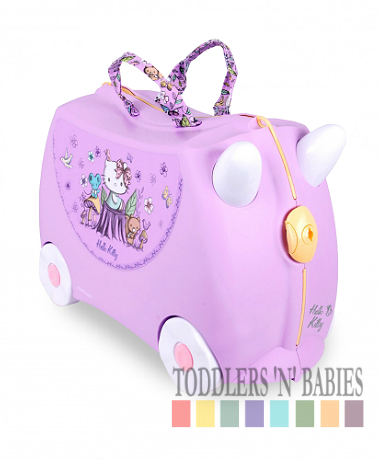 It has a saddle-shaped top with 2 grab handles and there are 4 integrated wheels at the bottom, so kids can rest their little weary feet, as well as ride around. 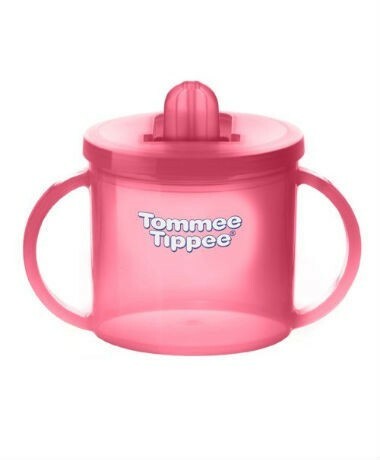 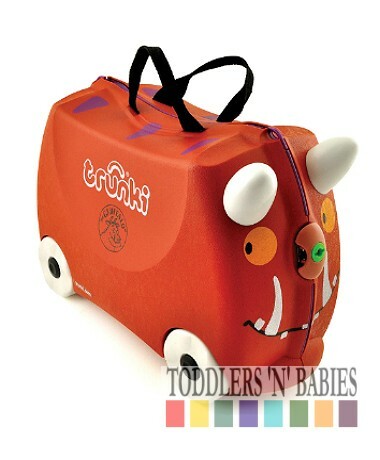 Stabilisers at the front of the case prevent your little toddlers from falling off, while the 2 horns at the front give them something to hold on to when they're wheeling around. 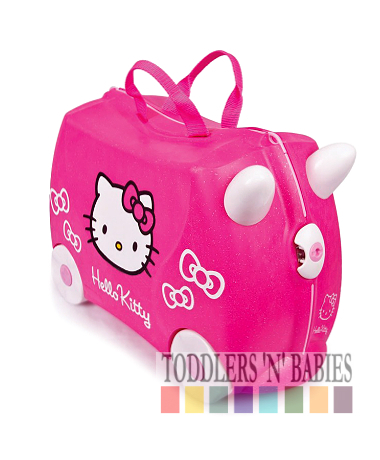 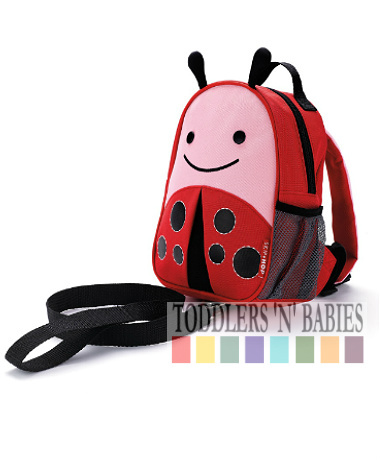 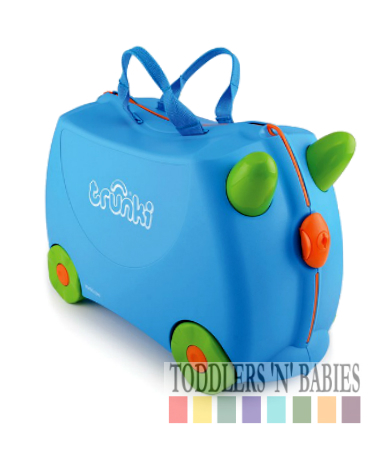 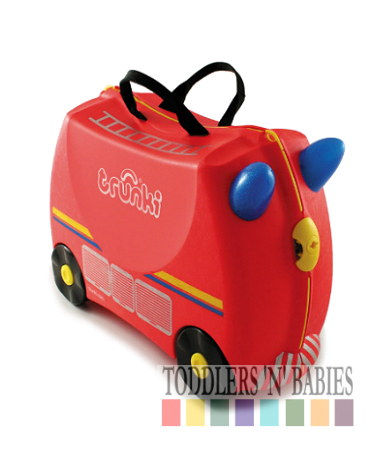 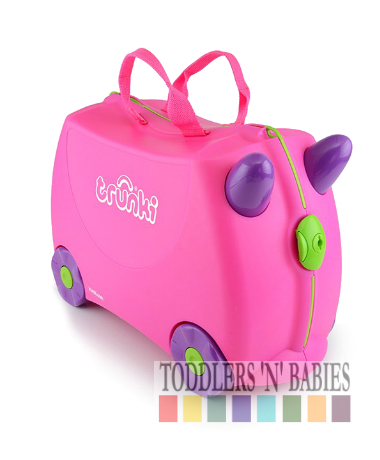 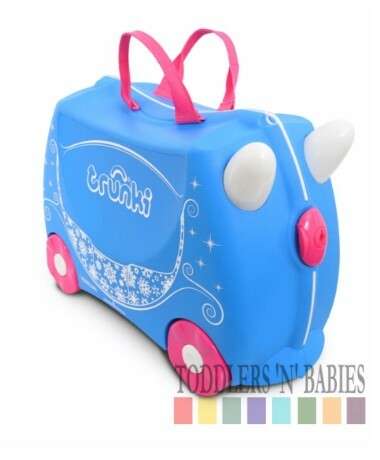 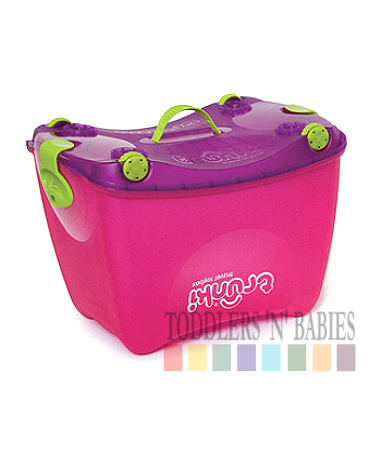 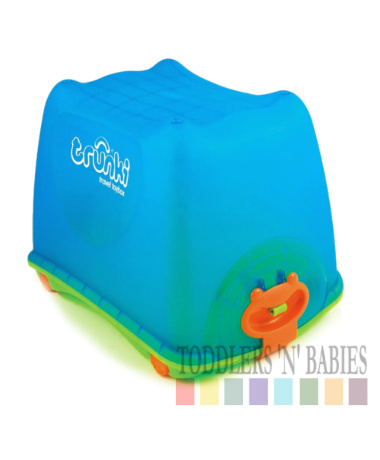 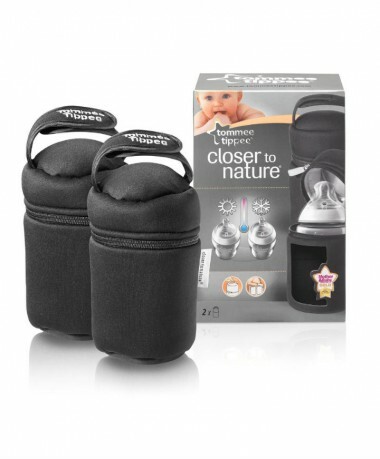 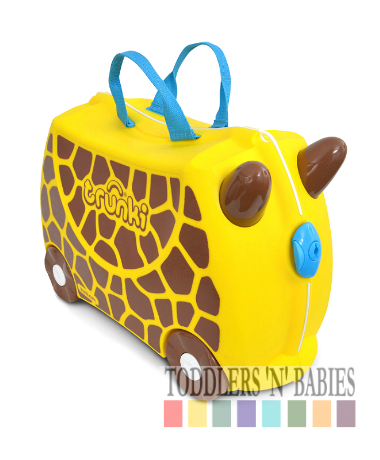 Every Trunki is made from lightweight plastic and has an opening with a security clip. 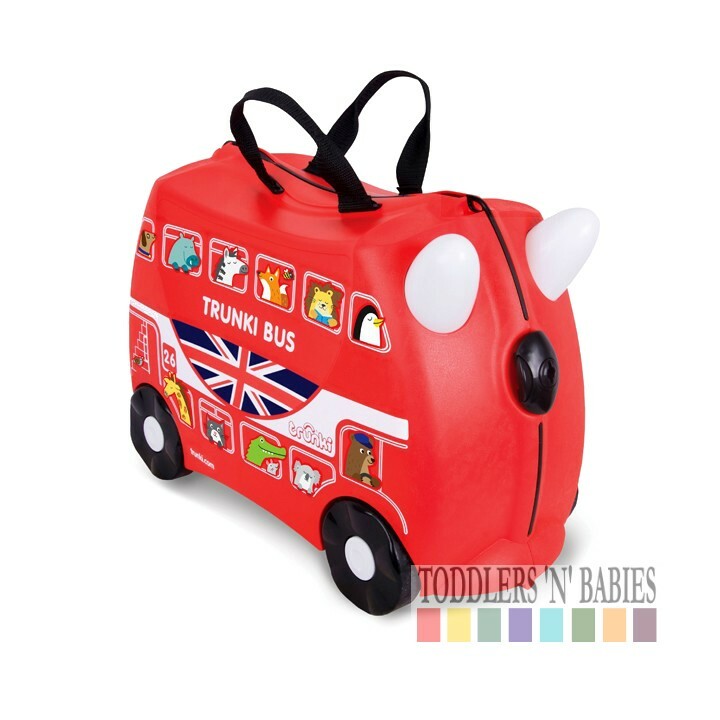 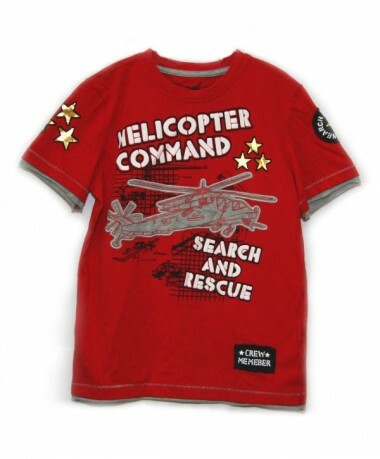 It also features a rubber rim to protect fingers, a secret compartment, elasticated packing straps on the inside, and an ID tag. 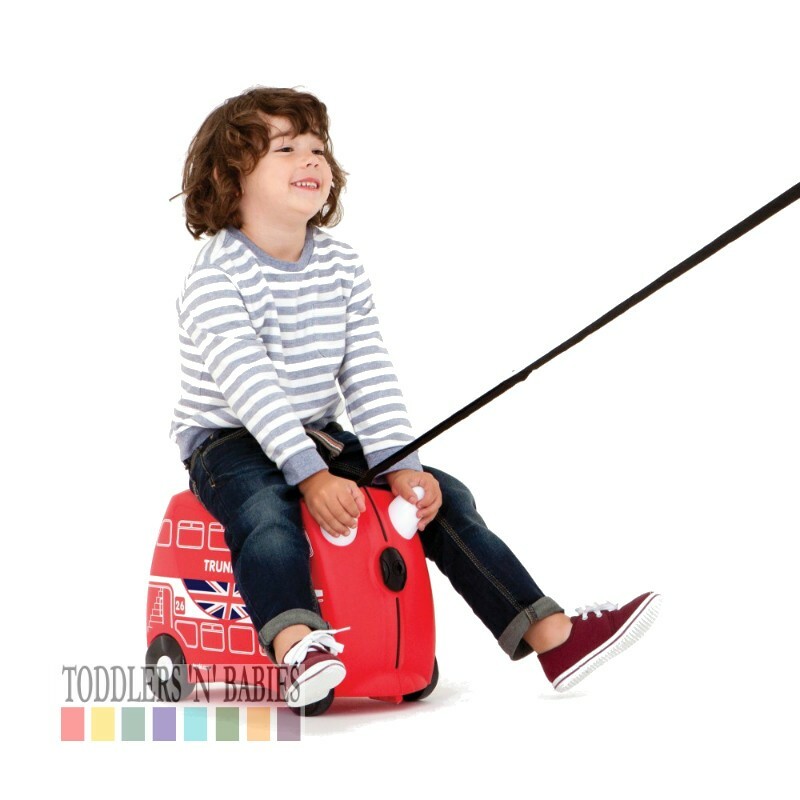 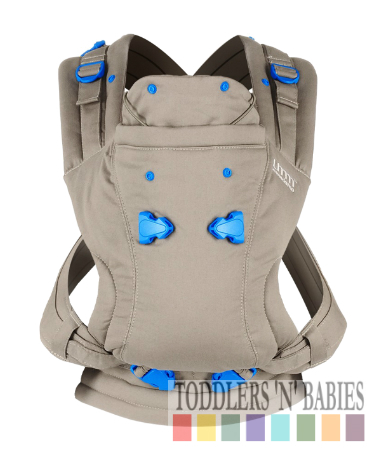 An adjustable strap is included, so you can tow your wee one along or use it to sling the case over your shoulder when you’re in a rush. 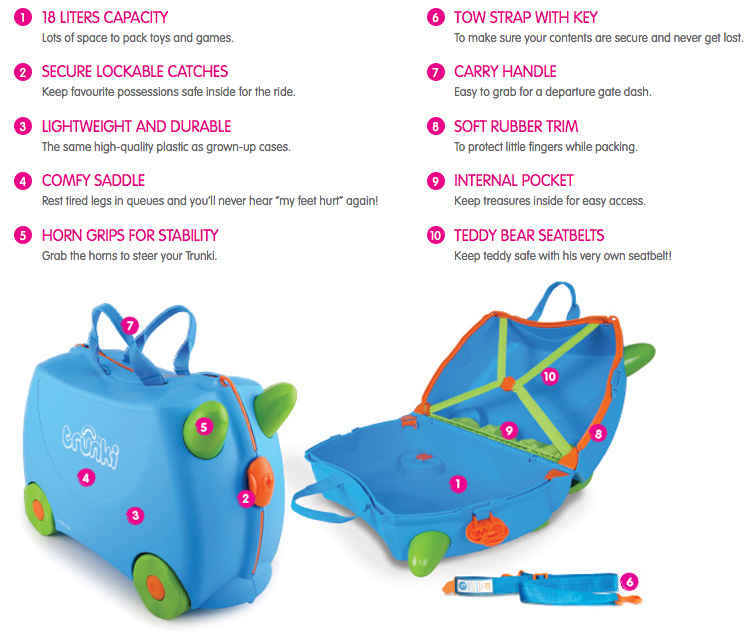 Along with the Trunki your tot will receive a pas sport, which can be filled with fun downloads from the Trunki website.